Liberty Hall, or Halla na Saoirse as Gaeilge, has had a long and storied history with Irish republicanism and rebellion since before World War 1. 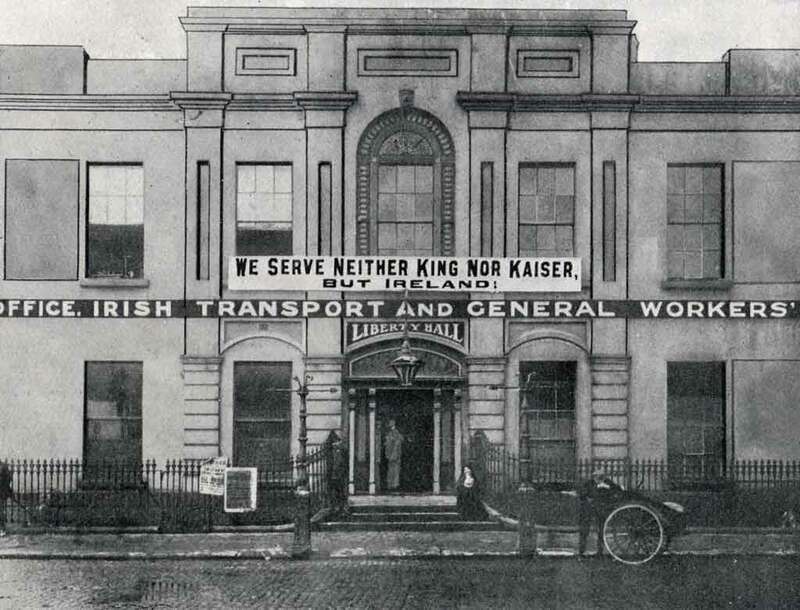 Upon the outbreak of WW1, a banner was hung outside the building to proudly highlight where the allegiance of the occupants lay, it stated “we serve neither King nor Kaiser but Ireland”. In this period, the building was known for being both the headquarters of the Irish Citizen Army, and something resembling a personal stronghold of James Connolly. Today, the building is home to the SIPTU. Traditionally however, Liberty Hall had a dual function and could be associated with a productive and destructive output. The building saw the printing of `the Irish Worker`, a newspaper created by James Connolly, until it was banned by the British monarch and transformed into `the Worker` and finally `the Workers Republic`. In the lead-up to the events that transpired on Easter 1916, Liberty Hall served as a munitions factory for the soon-to-be rebels. Most famously, Liberty Hall, is known as being a pivotal location in the early planning stages of the Rising. Notable Irish figures frequently used the building as a place of discussion and even assembled here on Easter Monday before marching on the GPO.